I don't blog enough to post your link because I don't think anyone has read my one or two blog posts :) I'd love to win a chipboard creation, though! I love these new chipboard creations. I hope to win one. So adorable. What a great gift! How wonderful is this? I've posted to my blog as well. 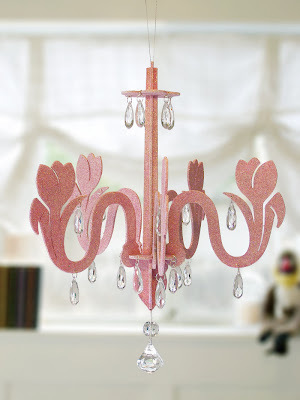 This has to be one of the prettiest chandelier/mobiles I've ever seen! I just might have to order one for my granddaughter! Oh I love it! SO beautiful, and I've never seen anything like it! My daughter would LOVE this in her room. What a perfect Christmas gift. I will post the link on my blog too. 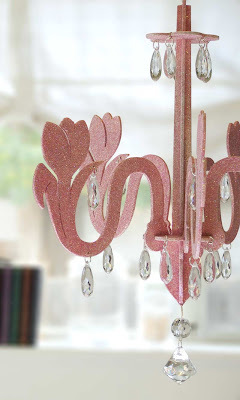 This Chandelier is so cute-I love your creative ideas-and use of chipboard-it's so elegant. I think I can envision it in my daughter's bedroom, which I recently painted pink-with butterflies stamped around the borders. Amazing! What a beauty that is! I am sure that my daughter would love it as it is pink and sparkly, but....she will have to arm wrestle Mommy for it! I posted a link for all to see your glorious work on my blog! I don't have a blog, so is it wrong to hope that your fancy program isn't working yet so I have a chance at winning this awesome chandelier in a box?!? Thanks for being so generous - your work is beautiful and I'm glad that people are spreading the word! Wow, this is so darling. I'm so glad I checked in with K and found your etsy shop and blog! Love your stuff. I will post on my blog. Thanks. Ohhhh, I love this!!! I have it all decorated in my head...hee-hee! I don't have a blog, so I'll just hope you end up picking from here. If I don't win (shock!) I will have to buy one! Super cute! My little girl would love it in her room. These are adorable! I just love them. The one with the birds is so cute!! My daughter would love to hang it in her house. She is crazy about owls and birds. I just found your blog! 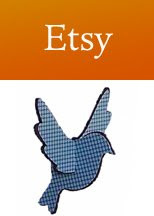 Good luck with your etsy shop and I may be visiting soon. You are very clever and talented! Just beautiful - you are one talented lady! I also don't have a blog, but would love the chance to win one of these beauties! Absolutely precious! My girls would FLIP to have this in their bedroom...especially since we finished their bedroom, ohhhhhhhhhhhhh......about 2 years ago and we still haven't hung a light fixture. Thanks to my friend Misty for showing me the link. WOW absolutely beautiful. 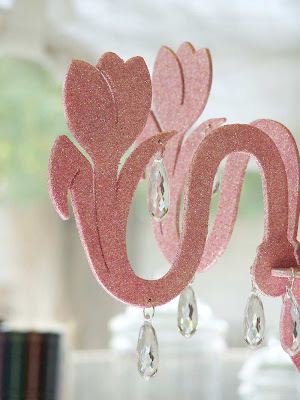 I love this pink and crystal chandler. I would love to know how you create these beauties I guess my biggest question is how do you cut the chipboard? You are so talented there's no question about that! Beautiful work! Do you laser cut them yourself? I got the link from ~Amy~ she has a serious chandelier problem! I love it too-I'm posting a link on my blog! I love the glitter! :) sooooo cute! Gorgeous@! 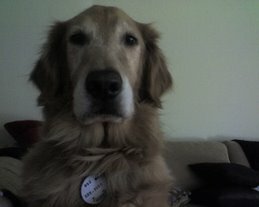 I have posted a link on my blog ... hope I win! Found you through Kristina's blog--WOW!! LOVE your creations! Wow! This is A.M.A.Z.I.N.G!! I was searching through your blog and what an artist you are! Thanks for giving us all a chance at this awesome chandelier! Love the chandelier! That looks like it would be fun to make. Anyway, I have linked you on my blog! That is so beautiful!! I don't have a blog but I would love to win! How cute are these. Love, love, love them. These would be great gifts. I love your chandelier. I saw the birdie one on Kristina's site and loved it too. I am sorry but I don't have a blog to link to but wanted you to know how cool these were. OMG, this is so stinkin' cute! I'm off to check out your etsy now! Thanks for the chance at winning ! THIS IS SOOO DANG CUTE! I want one for my daughters room! I LOVE IT! This is one of my absolute favorites on Etsy! I posted a link (and blogged about it on the weekend). This would look darling in my new baby's room!